The team behind the highly successful ‘Dumb Ways to Die’ smartphone and tablet game for Metro Trains has launched a follow-up game and digital campaign. 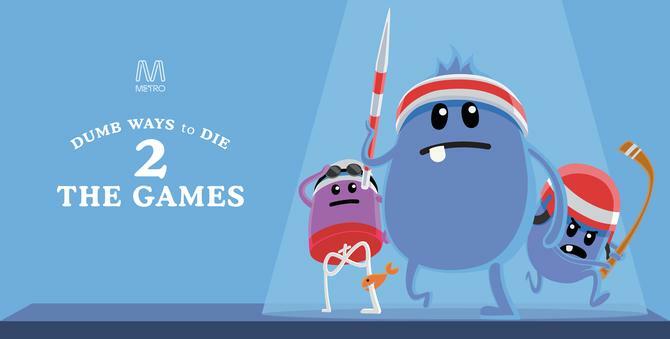 The Dumb Ways to Die 2: The Games has been launched initially in the iTunes App Store but will also be released for Android. The game has been created by McCann Melbourne and produce by developer, Millipede. The game casts players as sporting versions of the Dumb Ways to Die characters and is based on competing in an mini athletic games across three arenas. The winner is crowned with the ‘Dumbest of the Dumb’ title. Each of the arenas are connected by train and can only be accessed once a train safety game has been completed. Alongside the new game, McCann has created several new online videos combining action and animation and Facebook content, and has also updated its website with the aim of providing a hub for discussion around the content. The latest game and campaign efforts come two years after the initial launch of the ‘Dumb Ways to Die’ campaign, released as an online music video. The viral campaign proved a massive hit, and the tune hit the iTunes top 10 charts 24 hours after its release. According to the agency, the original Dumb Ways to Die game went to number one on the iTunes App Store in 21 countries, clocking up 71 million downloads and 1.2 billion plays. Its launch followed the success of the ‘Dumb Ways to Die’ viral campaign aimed at improving consumer rail safety. It was also awards a raft of gongs at Cannes and at last year’s ADMA Awards. “The Dumb Ways to Die characters are safety champions, mainly around trains, but occasionally they see risks with other popular events and like to warn people of the consequences,”Metro Trains general manager of corporate relations and business development, Leah Waymark, said.